Bear with us for a moment team, we’re about to get serious. If you’ve been watching the news lately (or, you know, ever) you’ll know that it can be pretty overwhelming to find the right cause to donate to—there are so many worthy ones. So, with that in mind, we’d like to introduce you to a pretty freaking sick collab between Adidas and Parley for the Oceans which will help you save the oceans while scoring some new kicks. Together, Parley and Adidas are using the power of sports to raise awareness for the threat of marine plastic pollution. We’ll go ahead and assume you’re already well-acquainted with Adidas, so here’s a little bit about Parley—they’re addressing the major threats to our oceans, collaborating with creative brands like Stella McCartney (to bring change to the fashion industry), Soma (to create beautiful eco-friendly drink bottles) and, yep, Adidas. If you’ve been looking for a cause worth donating to but have also run holes into your sneakers, this is the one for you. 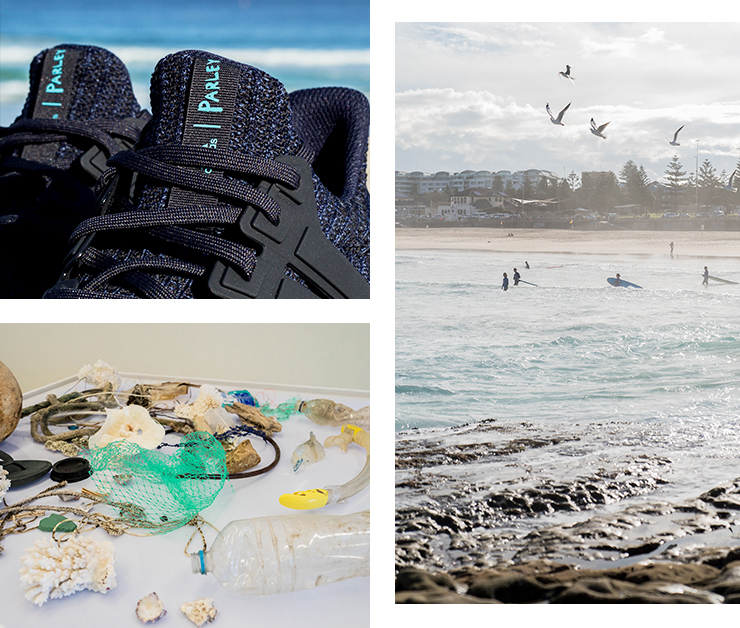 After a three-year vetting process, Adidas was finally able to work with Parley to create comfy AF sneakers from upcycled marine plastic waste—intercepting the rubbish at beaches and in coastal communities before it can even get into the oceans. If you’d like to take it a step further—or just don’t have the budget for a new pair of sneakers right now—you’ve got until 8 July to download the Runtastic app, track a run (or walk, you do you) and Adidas and Parley will donate USD $1 for every km you clock (up to one million). For more details about the campaign and the activewear, head here. If you want to save the world from your bathroom, read this.